posted: December 21, 2017 by: DACS Tags: "Clinic Specials" "News"
At Dalton Animal Care / Dalton Animal Care North / and Kitty Korner, it has always been our goal to treat each and every pet as our only and most important patient while offering the best medical care available. We strive to deliver the best viable care in the most timely manner possible. In an effort to continue this, we are improving on the way that we manage our appointments and walkins. Starting January 2nd, 2018 - if you bring your pet to our clinic and believe that it is an emergency situation, your pet will be moved to the front of the line and will take precedence over appointments. This will be considered an Urgent Care Visit and will cost $85 for the visit, not including testing and/or treatments. If you bring your pet in and he/she is deemed an emergency case by our staff, your pet will be treated as an Urgent Care Visit and will be moved to the front of the line. The cost for the visit will be $85, not including testing and/or treatments. Our clinics close at 6PM and we do schedule our last appointment at 5:30. If the visit may require bloodwork, x-rays, or other testing then we do try to schedule your appointment earlier in the day to give our staff ample time to care for pets in our facility. If you bring your pet in at 5:45PM or after, you will be given the option of bringing your pet in the following business day. If you choose to have your pet seen after 5:45PM, your visit will be treated as an Urgent Care Visit and the cost will be $85 not including testing and/or treatments. 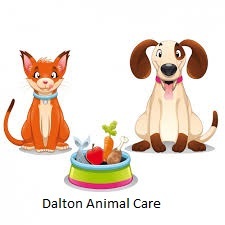 Dalton Animal Care at 1022 South Hamilton Street is our only clinic that is open on Saturdays, but doctors from our North Clinic will be available at this location on Saturdays as well. Our Urgent Care Visit Protocol also exists on Saturdays to help us triage medical needs and keep the lobby in motion and unobstructed. If you bring your pet in after 11:45AM, your pet will be treated as an Urgent Care Visit. 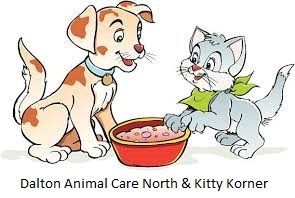 Thank you for choosing Dalton Animal Care / Dalton Animal Care North / and Kitty Korner for your pet's health care needs.